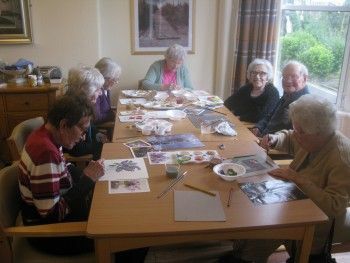 Funding to run multi-generational creative art sessions has helped to reduce poverty and isolation in Barrow. St Matthew’s Community Hall, on Highfield Road, is located in one of the most disadvantaged wards in the country. £4,851 was awarded from the Comic Relief Fund to run an art club for young people aged between seven and eleven years old and an art workshop for adults from the more vulnerable and isolated parts of the community. More than 350 people attended the free weekly workshops, led by professional artists with support from local volunteers. The art club was designed to provoke young people’s imaginations and encourage personal expression while the workshops for adults aimed to break the pattern of loneliness and increase self-confidence and motivation. The project worked alongside local youth groups and organisations including Age UK, Barrow Disability Centre, Mind in Furness, Women’s Community Matters, and Cumbria Alcohol and Drug Advisory Service (CADAS) to ensure those most in need were included. Wendy believes the workshops will have a lasting positive impact on the most vulnerable members of the community.